Traumatic fractures are not something you plan for. At Southcoast Health, we know that when tragedy strikes, your priority is to help your loved one get well. Rest assured that we have superior emergency services, advanced trained orthopedic surgeons in musculoskeletal trauma, state-of-the-art technology and extensive clinical expertise to care for you and your family. You can be confident that our dedicated orthopedic surgical team has the skill, experience and cutting-edge equipment needed when you require trauma or fracture care in southeastern Massachusetts and Rhode Island. Orthopedic trauma is a branch under orthopedic surgery that specializes in problems with bones, joints and soft tissues (such as muscles, tendons and ligaments). Whether you’ve broken your hand or wrist or you’ve injured your ACL, our orthopedic surgeons can quickly provide exceptional care and treatment. If you’ve undergone orthopedic trauma in Fall River, New Bedford, Wareham, MA or nearby, turn to Southcoast Health for trusted local care with compassion. Locate your nearest physician practice or use our find a doctor search to learn more. You can also sign up to attend our next Joint Seminar. Call 508-973-1102 to register. 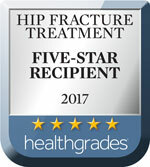 Southcoast Health offers an expertise in orthopedic trauma and fracture care for patients throughout the South Coast in Massachusetts and Rhode Island.